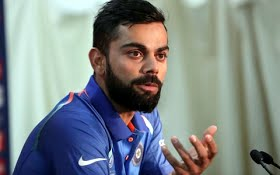 Following the comprehensive win in the third ODI at Bay Oval, Virat Kohli achieved the rare distinction of becoming the first Indian captain to win back-to-back one-day series’ in Australia and New Zealand. The win was Kohli's 47th as ODI captain which is the second most for a captain after 63 matches. Clive Lloyd and Ricky Ponting had 50 each at the same stage. Speaking after the win, an elated Kohli said, "Amazing. Three clinical games for us. Couldn't have asked for a better performance after the first two clinical games. The relentlessness of the side is something that really pleases me. "We really enjoy ourselves and even at the end when Rayudu and Karthik were batting, we were sitting in the change room and cheering for every run. That's how the environment in the dressing room is. The guys believe in their skills and they are showing it on the field," Kohli added. The Indian captain will now take a much-needed break and hand over the captaincy to Rohit Sharma for the next two ODIs. "Hopefully we can win the last 2 games. I haven't had a break for a long time. It's been a very hectic Australian tour and now I go on a break very happy 3-0 up sealing the series. I can relax and enjoy my break. Someday someone has to take your place and that's how the game goes," Kohli went on to say about the rest.